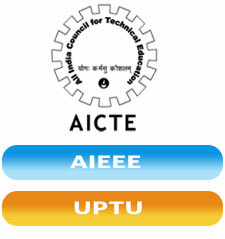 Admission Procedure is totally depend on AICTE and Uttar Pradesh Technical University. We provide them world class facility in the campus. All the Labs and laboratories are well equipped with all modern & High-Tech equipments. We are sure that the education and skills that you acquire from our institution as a student would equip you for a life personal and professional achievements and thereby contributes to the enrichments of society and the nation. In higher education, quality of education and environment are very important aspects. 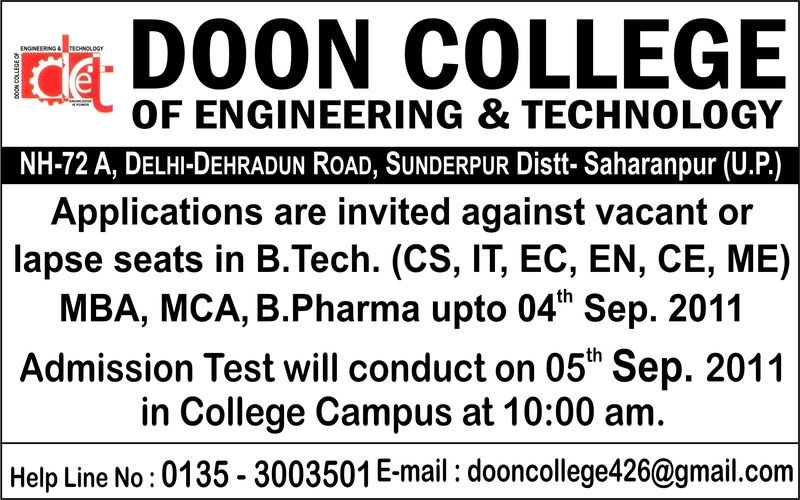 Welcome all the students in Doon College of Engineering & Technology. I promised to all students to provide them world class facility in the campus. All the Labs and laboratories are well equipped with all modern & High-Tech equipments. We are sure that the education and skills that you acquire from our institution as a student would equip you for a life personal and professional achievements and thereby contributes to the enrichments of society and the nation. In higher education, quality of education and environment are very important aspects. One of the most important in the minds of new entrants, as they join a course, is employment avenues and placement potential of the course. Our aim is to train the students, armed with the ability to work effectively and efficiently, across professional boundaries , so that they can emerge as leaders and innovators in their chosen professions. Wish you al I a very bright academic future.